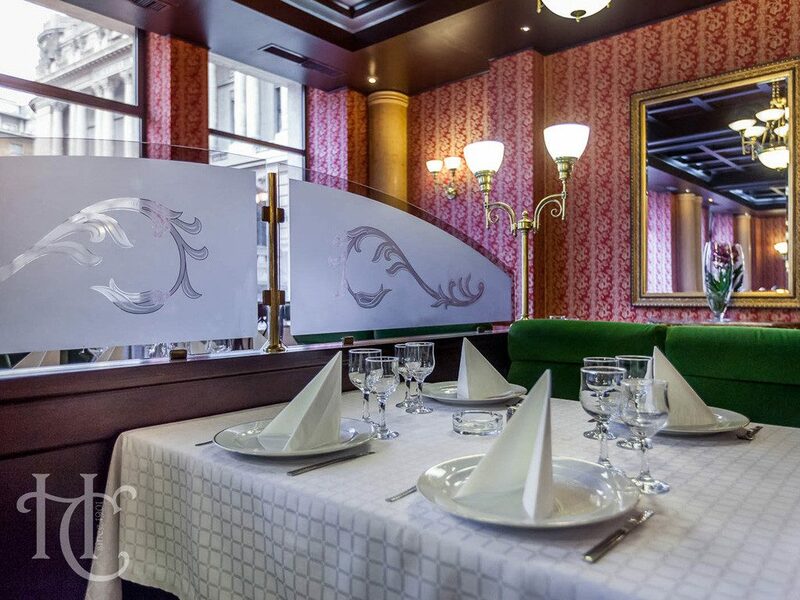 Located in the heart of Bucharest, Hotel Capitol is close to numerous businesses, shops and museums. In less than 2 minutes' walk away you can reach the pedestrian area of the Old Town, also called the heart of Bucharest's entertainment. 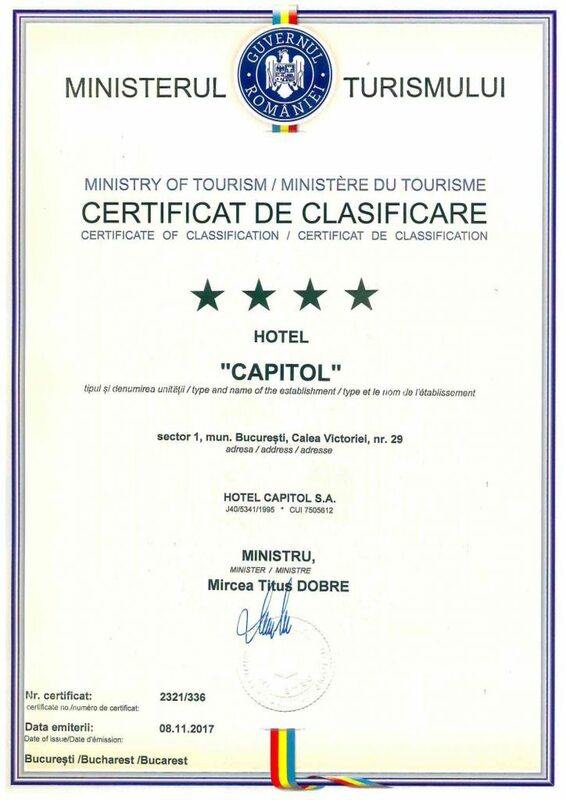 Hotel Capitol has a unique identity of the Bucharest hotels. Built in 1901, the hotel is a living legend, its name being synonymous with history, comfort and impeccable service. Called in the past the Louvre Hotel, the 5-storey building houses a renowned restaurant and café, a favorite meeting place for many writers, musicians and artists. The brilliant past and the promising future blended perfectly in 2001, when the hotel underwent the restoration process, and then, in 2014, marks the refurbishment and upgrading of the entire building. We have set high targets and higher standards, constantly guided by the desire to please our guests, and in many cases we host even the fourth generation of loyal customer families. 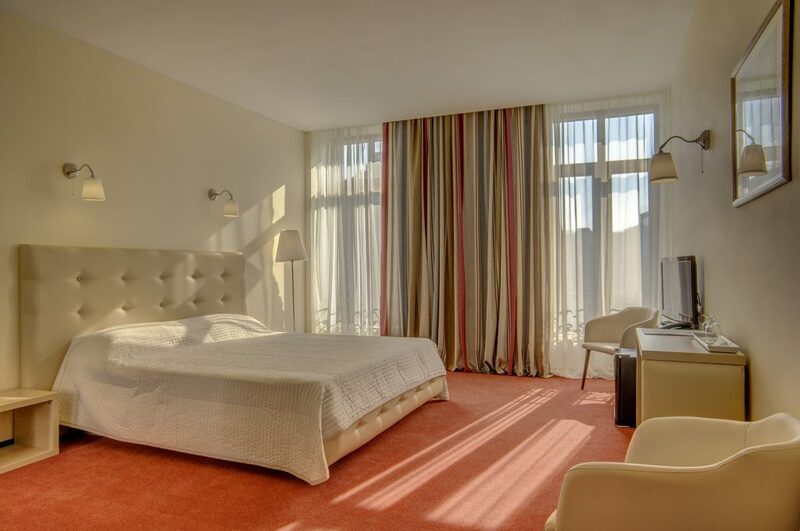 Discover the perfect balance between harmony and comfort in our 79 rooms, including 10 suites. Due to the perfect location and hospitality of our entire staff, your stay will be comfortable and enjoyable. Hotel Capitol is the perfect host for those visiting Bucharest, both for business and for relaxation. 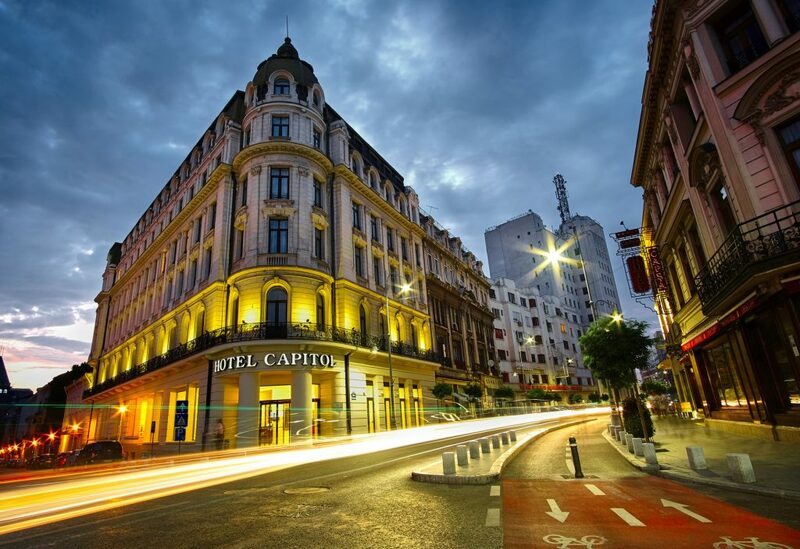 We are looking forward to seeing you at Hotel Capitol! 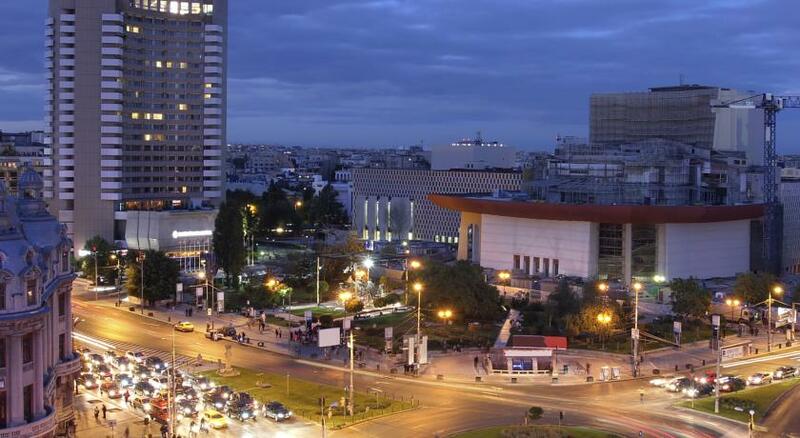 the National History Museum, the National Art Museum, the Romanian Athenaeum, the National Theater, the Cismigiu Park pedestrian area of ​​the Old Center. 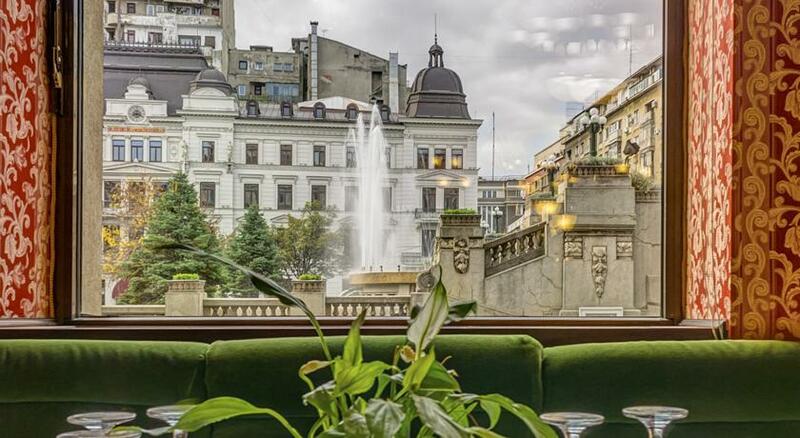 For those who visit Bucharest, both for business and relaxationHotel Capitol is the perfect host. Capitol Hotel shelters at the ground floor the Capitol Restaurant, the favorite meeting places for many writers, musicians and artists since the early 1900s. 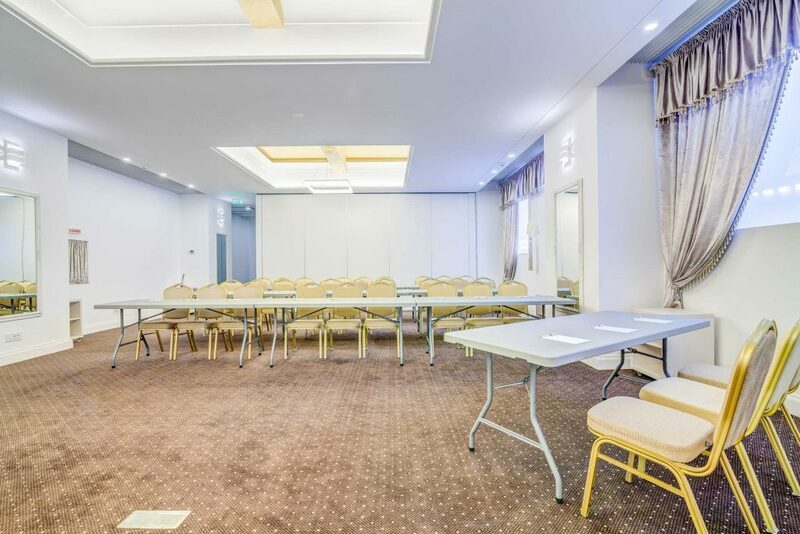 Hotel Capitol houses two multi-purpose halls for any major event in your life. 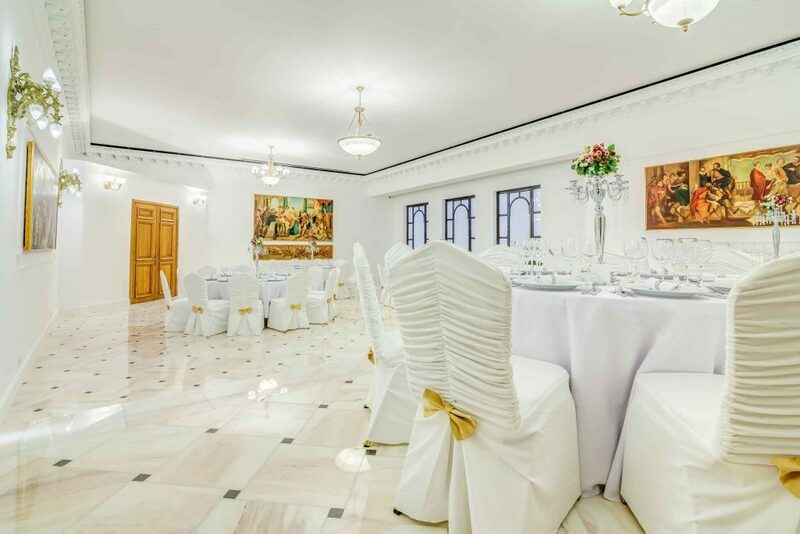 Inspired by the hotel's first name, the Louvre Salon can accommodate up to 100 people for weddings, baptisms or private parties. The second salon, Royal, is inspired by the famous cafes on the ground floor of the historic building and can accommodate up to 110 people for gala evenings, sessions, conferences, receptions or private parties. Due to the perfect location and hospitality of your entire staff, your stay will be comfortable and enjoyable.